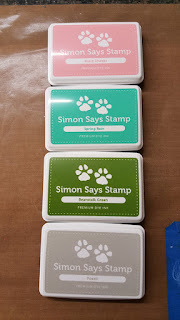 Welcome to Stampin Friends Lots Of Love Blog Hop it's our first hop for 2016! I hope everyone the enjoyed the holidays with family and friends. 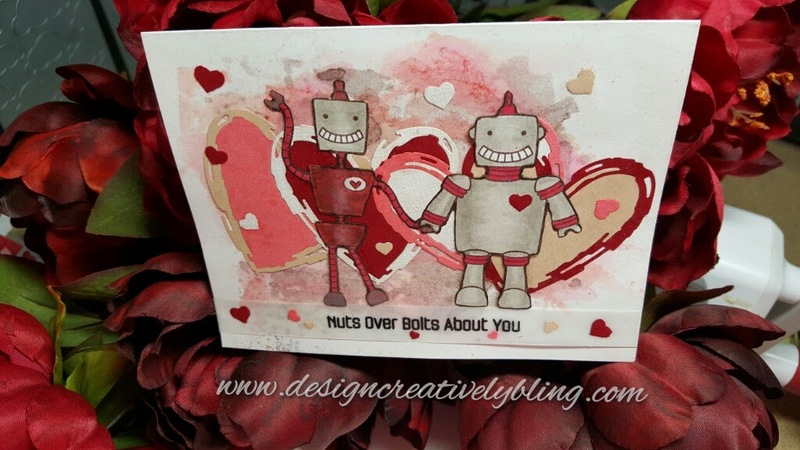 We are so happy to be back sharing our creations with you. 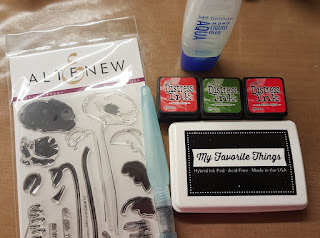 If you just arrived from Carolina's Blog thank you for continuing with the hop! 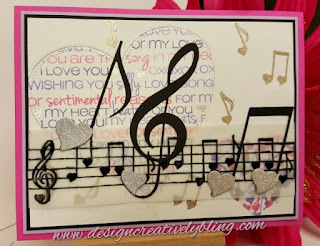 I used SSS Mini Hearts die and cut hearts from MFT Tickled Pink and Cotton Candy and adhered them to my card.. I think I have a hang up on water color paper.Lately it seems to be my go to paper. This card obviously was started with it. 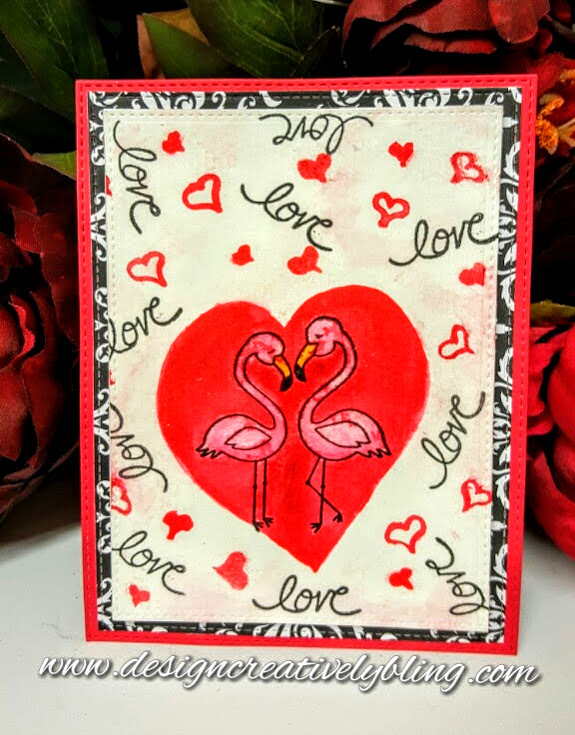 I stamped my Flamingos from Newtons Nook Flirty Flamingos using Versa Fine Black Onyx ink. 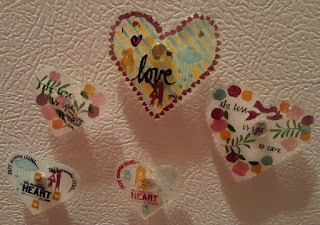 Then I masked them off and painted the large a small hearts with Tim Holtz Festive Berries. 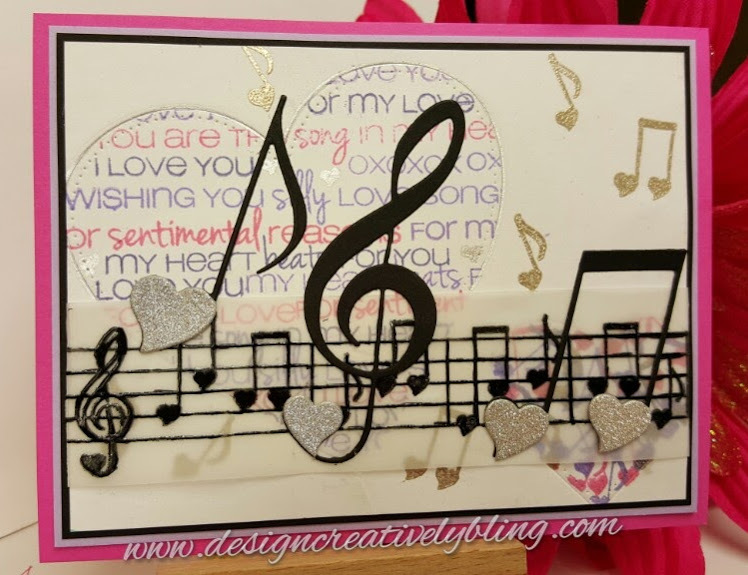 Love was stamped using Versa Fine Black Onyx. I used MFT Blueprints 13, 24 and 25 to cut each layer with a stitched border. The watercolor piece was popped up on fun foam and I finished putting my layers together. 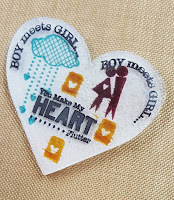 For my project I used Memory Box Plush Heart and Plush Baby Heart dies and cut several valentine felt colors. 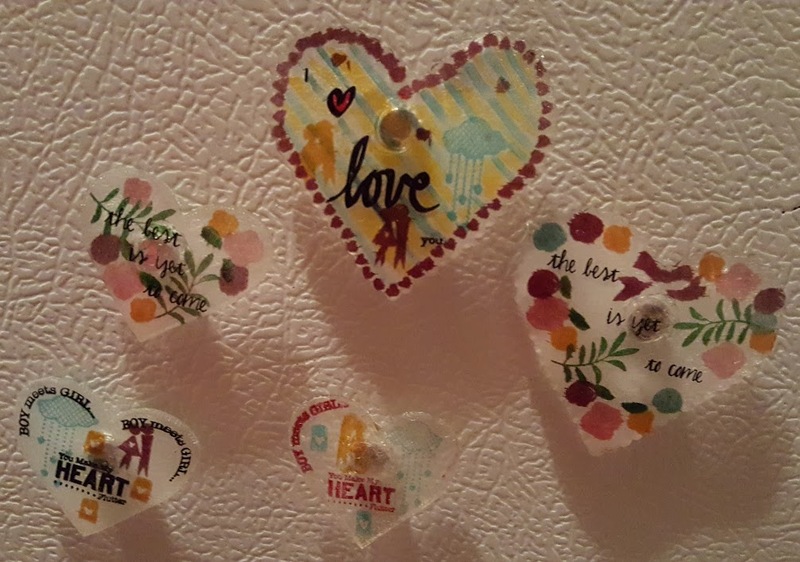 I also used SSS Mini Hearts and cut some from the same colors. 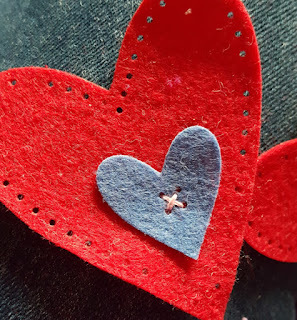 I stitched them together with batting in between, I stitch some accent hearts on and glued others. 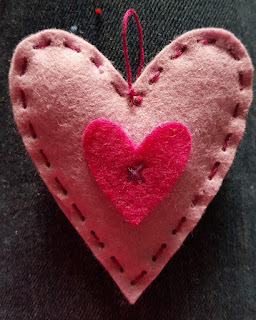 I stitched loops on the top and strung them on red jute twine which I tied in a knot around each loop to hold them in place. 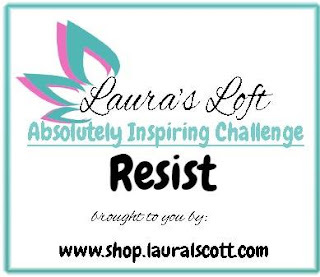 Ready to win 15 prizes?!! 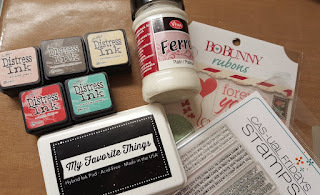 Just enter the giveaway by commenting #SFJanhop! If you comment and include #SFJanhop on each blog it will give you 15 chances to win 15 crafty gifts. Details below! 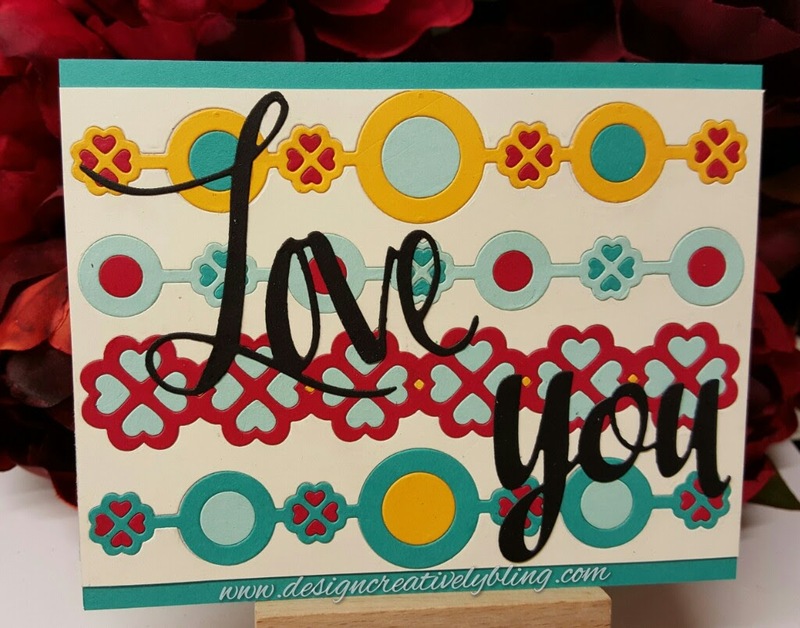 I'm so glad you stopped by and hope you enjoyed my creations. I'd love to hear from you in the comments section and feel free to follow me and checkout my other post. 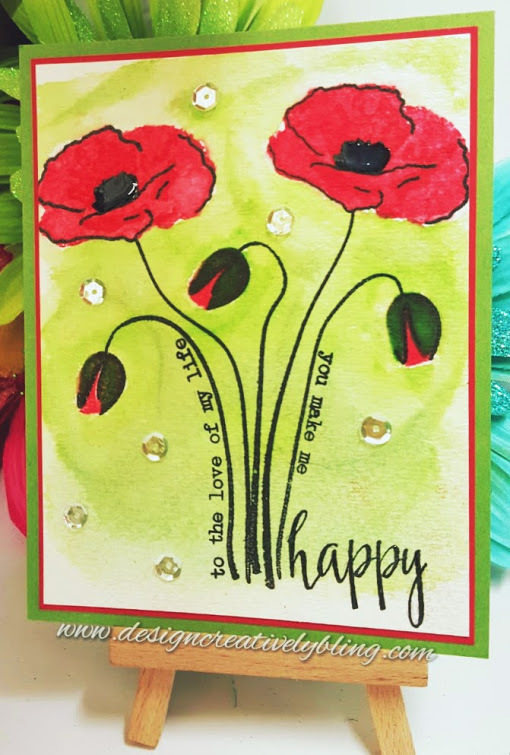 Up next is Mslissa just click the Next button to continue on the hop and see what awesome creations she has in store for you! This is not goodbye but see ya later! 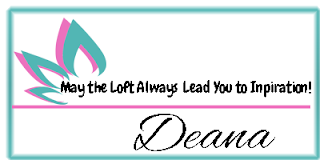 Just click on the pictures below to find the products used . A friend of mine was in a terrible accident. 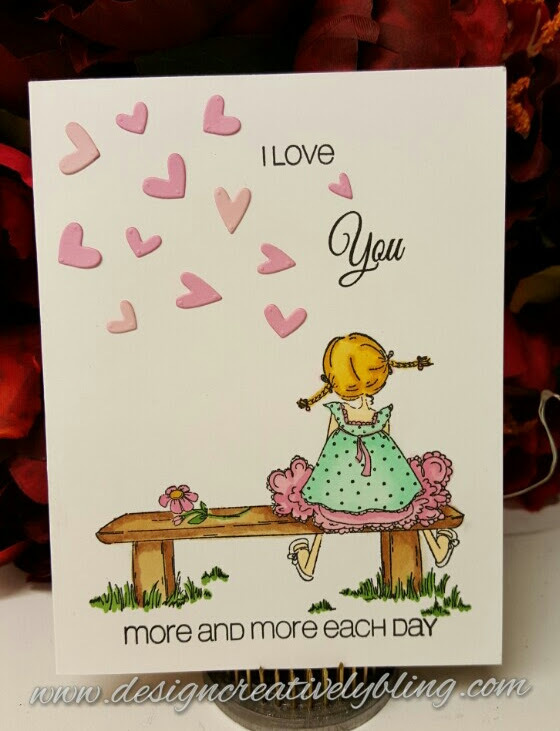 I thought I would make her a card to brighten her day a bit. 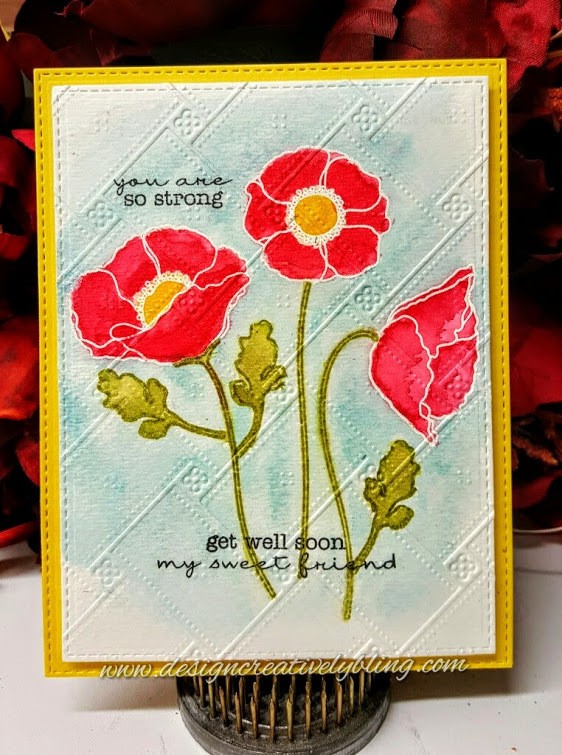 I started off with a piece of watercolor paper and heat embossed the flowers from MFT's Delicate Pretty Poppies with WOW Bright White ep. 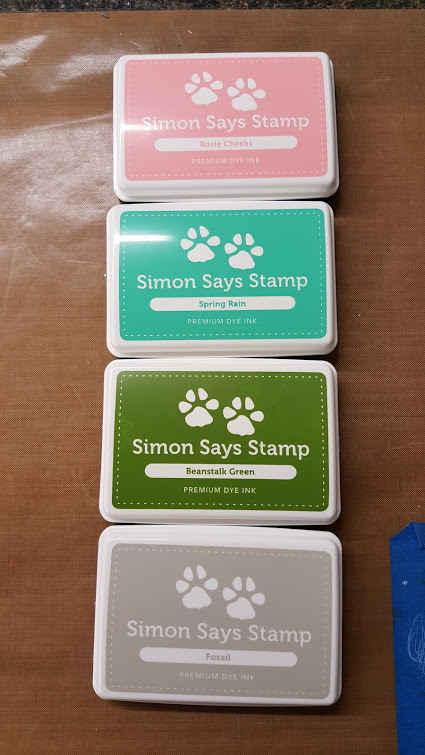 The stems were done with a moss green. I used Tim Holtz Distress Inks to water color my card front. 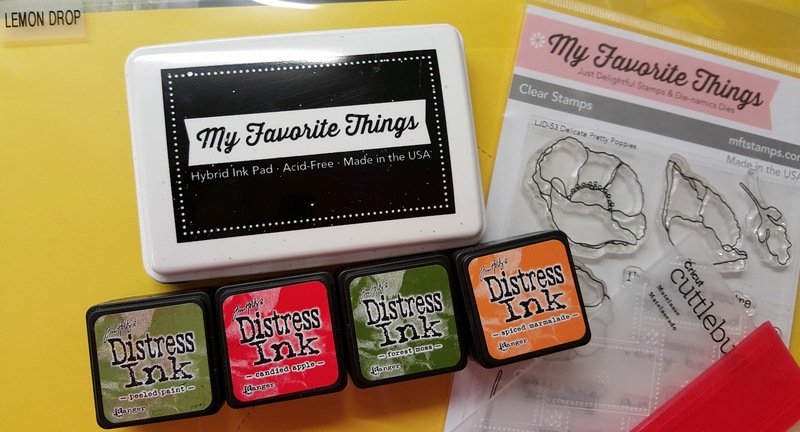 The sentiments are stamped using MFT black ink. I cut the card front and MFT's Lemon Drop piece using MFT Blueprints 24 & 25. 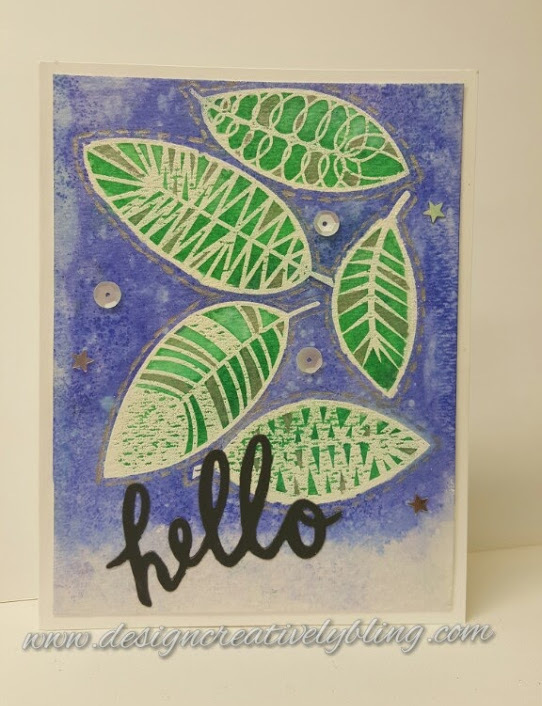 Then I dry embossed the water color piece with Anna Griffin's Malelasse embossing folder and mounted my card front on the piece of MFT Lemon Drop card stock. The finished piece was glued to a Neenah Solar White card base. I've wanted to create something with this snowman for quiet sometime. 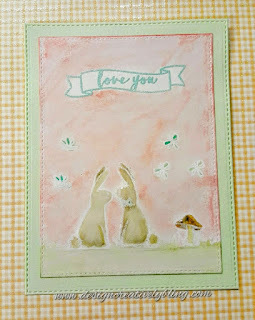 I just love BoBunny's Altitude collection! 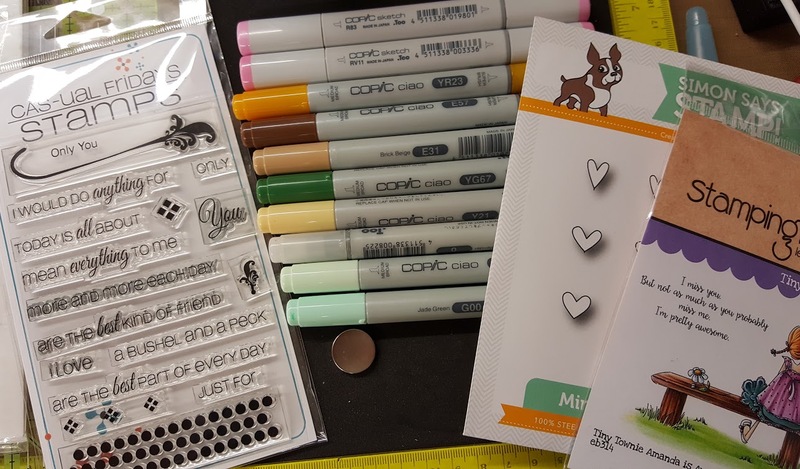 I started with a piece of card stock from the ephemera pack. 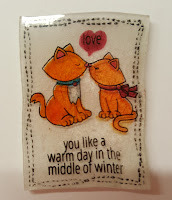 Then I trimmed down a piece from the 6x6 pad that had snowy words on it. i balled it up then smoothed it out and distressed the edges. To give it that worn antique look I ran the Tim Holtz distress ink ground espresso around the edges and dabbed a paper towel on the pad and lightly brushed it over the front then glued it in place. 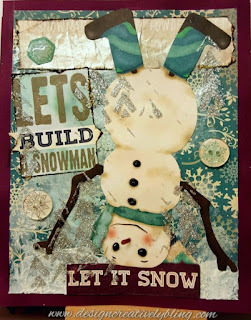 I applied Lite blue Modelier Creme and Platinum Ferro to the card stock.I distressed the edges of the lets build a snowman and hit it with early espresso. 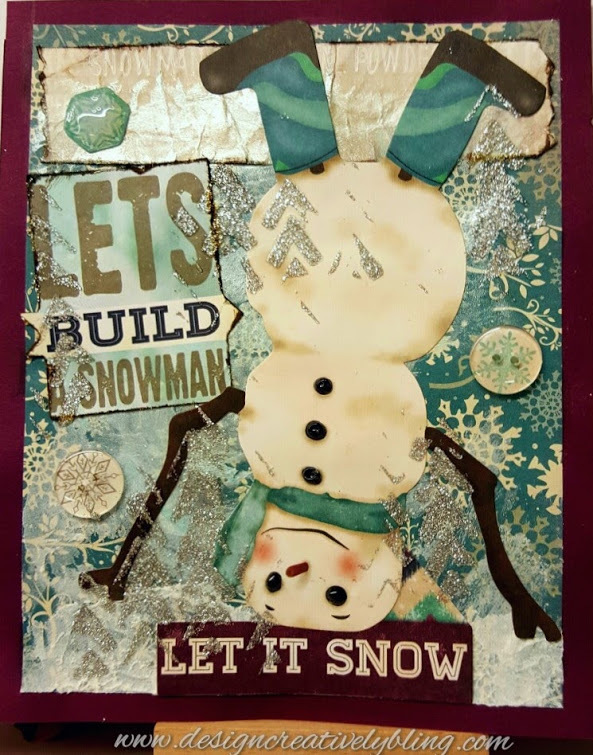 My snowman was glued down along with the Lets build a snowman and let it snow tags. 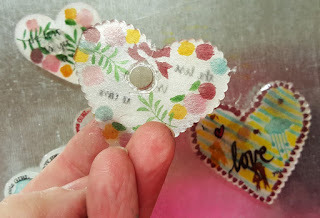 There were small snowflakes in the ephemera that I placed some clear buttons over. 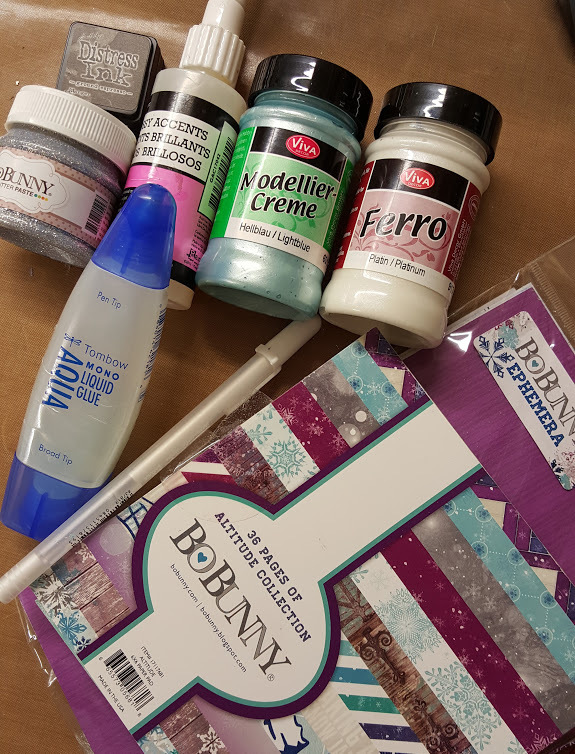 The last touches were using a wonky chevron stencil and applying BoBunny Silver Glitter Paste and some Glossy Accents then coloring the Glossy Accents after it dried with a black copic. The finished card front is mounted on Burgundy card stock. Playing with mixed media is so much fun. You can make a mess look beautiful. 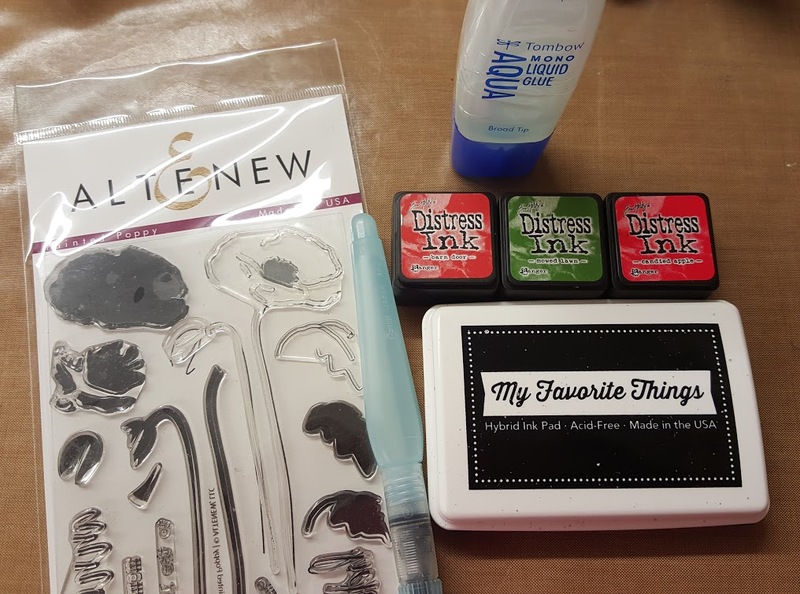 I just recently started dabbling in this. I think I hesitated getting into this because I don't like not having control, but I found it is so much fun seeing how it all reacts to each other. 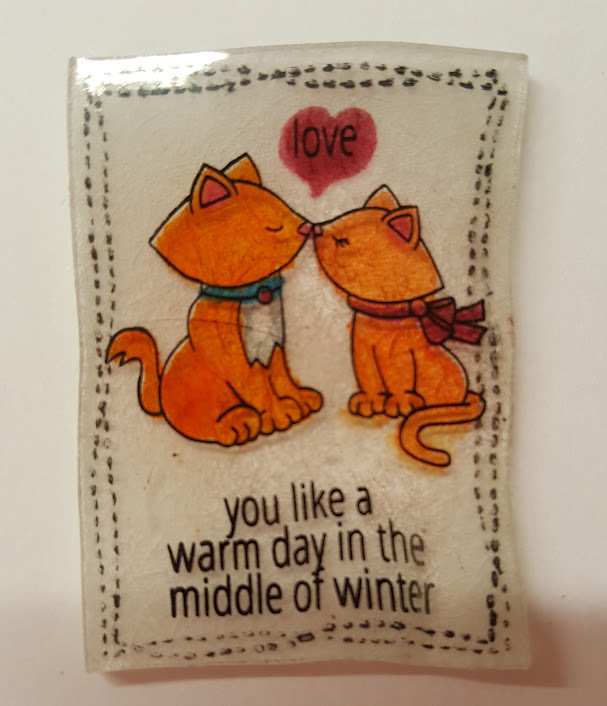 I started with a piece of Strathmore water color paper and taped it down. 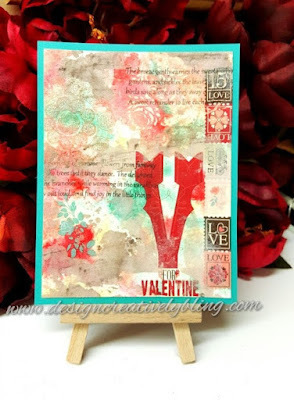 I added Tim Hltz Distress Ink to dry paper (the colors are in the picture below). This was then misted with water. I let it sit while the inks did their work. 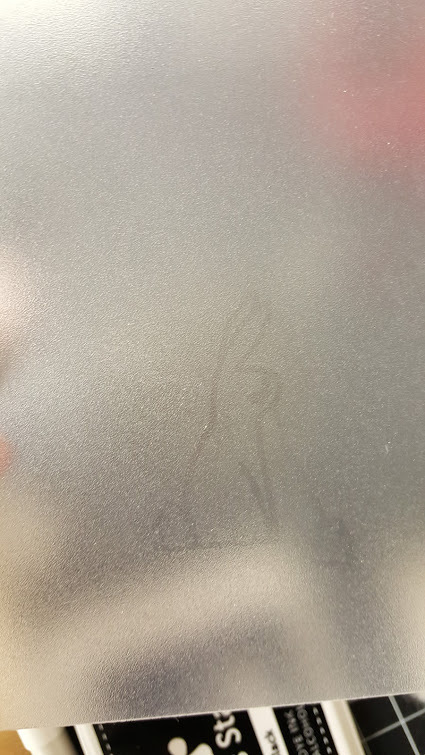 To help dry it I used a heat tool. 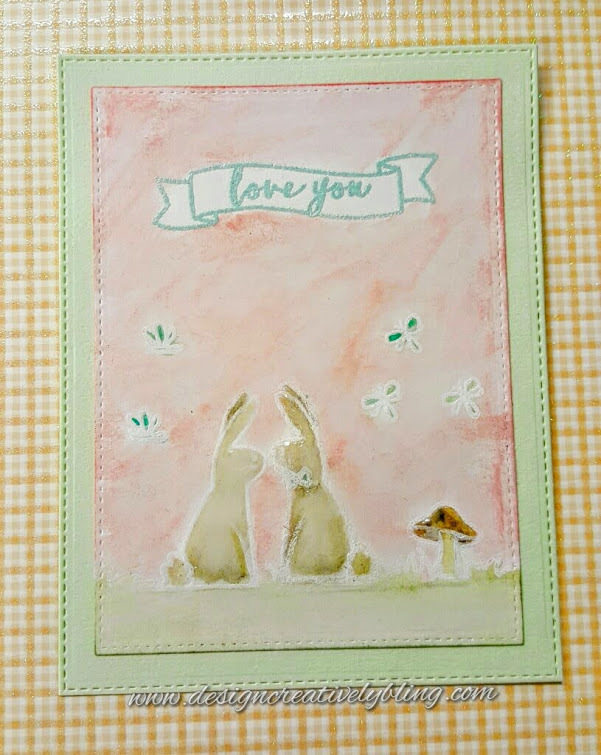 Next I chose some rub on images from BoBunny Love Letters Collection and applied them. 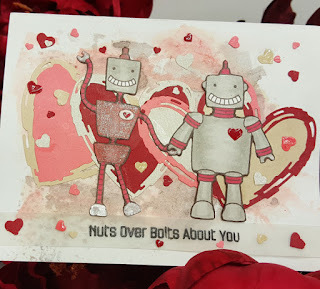 Then I mixed Tim Holtz Ground Espresso with Ferro Platinum and applied it to my card front. 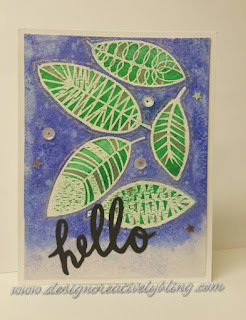 I finished it up by stamping a sentiment from CAS-ual Fridays Out Loud and mounting the finished piece on SU Bermuda Bay card stock. The more I look at this the more I love it. Thank you so much for spending time with me. I hope you enjoyed what I created. Check back soon I usually post about once a week. 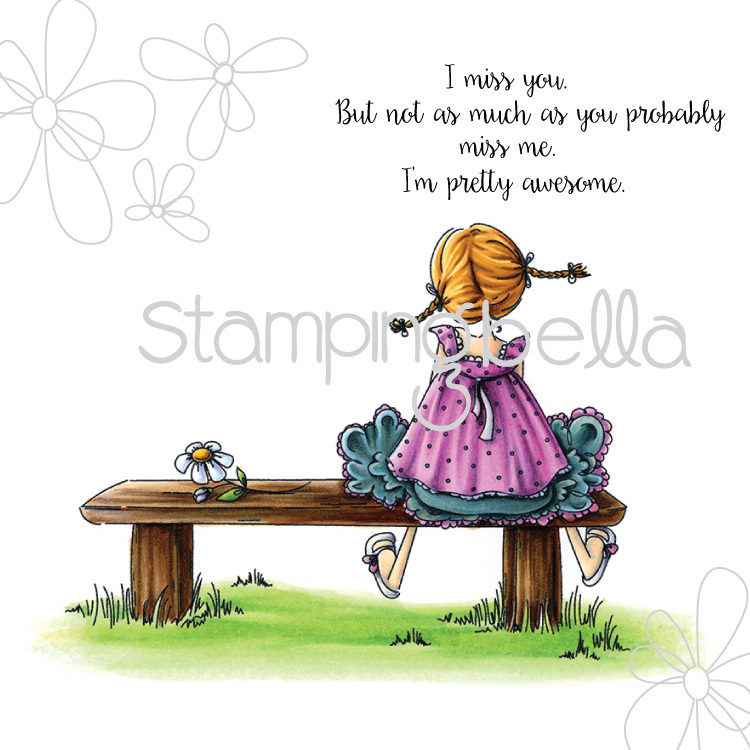 This is not goodbye but see ya later!